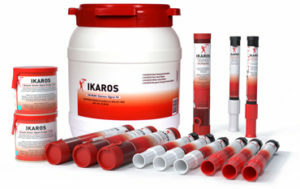 The Ikaros range of products is an excellent choice for leisure boats. Since our products are easy to use and the instructions are very simple, they are perfect for private use. Make sure that your time at sea is safe, and be prepared. Use products with the highest standards, that are thoroughly tested and approved by the authorities. Please contact us or your nearest retailer for advice and suitable kits for your boating needs. This kit is suitable for those who prefer to sail in more inland archipelago areas and larger lakes. The Emergency call kit contains the minimum amount of safety equipment that should be on board, and is used when you need to signal your position quickly. The kit consists of one red IKAROS parachute rocket and two red handheld flares. This is designed for those who spend longer periods further out in archipelagos, as it includes more flares. The Sea call is a good all-round kit that offers a high level of safety on board when sailing and cruising long distances from shore. 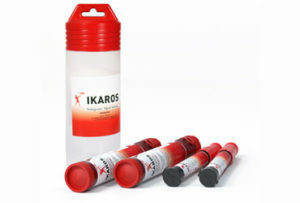 The Sea Call kit consists of two red IKAROS parachute rockets and two red handheld flares. The IOR kit includes the most comprehensive set of safety equipment for sailing and cruising at sea. It is for use aboard larger recreational boats that travel long distances. 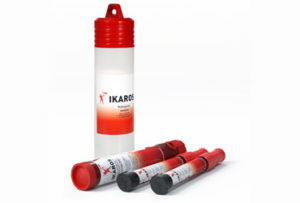 The IOR kit consists of four red IKAROS parachute rockets, four red handheld flares, four white handheld flares and two buoyant smoke signals.